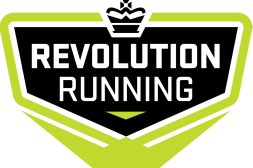 This option will begin with the program you sign up for and will offer a much reduced monthly rate for a full year of Revolution Running membership. Purchase your annual Membership for only $499 lump sum OR $44.50 monthly subscription. Includes: Summer/Fall Training, Winter Training and Spring Training. This option will include additional swag and special offers when available.